As you all know, I have psoriasis on my scalp and it doesn't take much to really knock it off, so when I was recently contacted by Infuse My Colour to ask if I wanted to review their coloured shampoo's, I was a teeny weeny bit hesitant until I learned all about them. These are coloured shampoo's designed to boost the colour of your hair. I was sent the Gold one to try out which is designed especially for highlighted hair (I ombre'd a few years back and still to this day have golden tones in my hair!) to really tone the colour and keep it looking like it's newly coloured. All of the Infuse My Colour shampoo's are vegan, contain no parabens, sulphates or silicons, so I knew I was off to a good start as these were unlikely to affect my scalp much. According to their press release, their secret is the ingredients. Their shampoo's contain cationic bio-polymer to enhance sensorial in-use and mildness whilst smoothing the hair cuticle to seal in colour. I'm not sure what all that means, but I'm excited to give it a go. There are five different tones of Infuse My Colour. I was sent the Gold to try out which maintains brightness of pale, medium, dark blonde and all highlights putting the sunshine back into washed out honey blondes. Bask in the glow also great as a glossing shine shampoo for any warm coloured hair. Other tones include Ruby, Platinum, Copper & Cobalt. I was excited to give this a go. The shampoo itself is bright orange. The tone you see is the tone you get! It lathers pretty well and washed my long hair with a small amount of product. The label doesn't say anything about keeping it on your hair for a length of time or anything, but I left it on for a good 3/4 minutes just to really let the tone set in. I rinsed this and my hair instantly felt as though I'd just been at the salon. This definitely has a 'salon professional' feel to it and I didn't feel as though I needed conditioner. 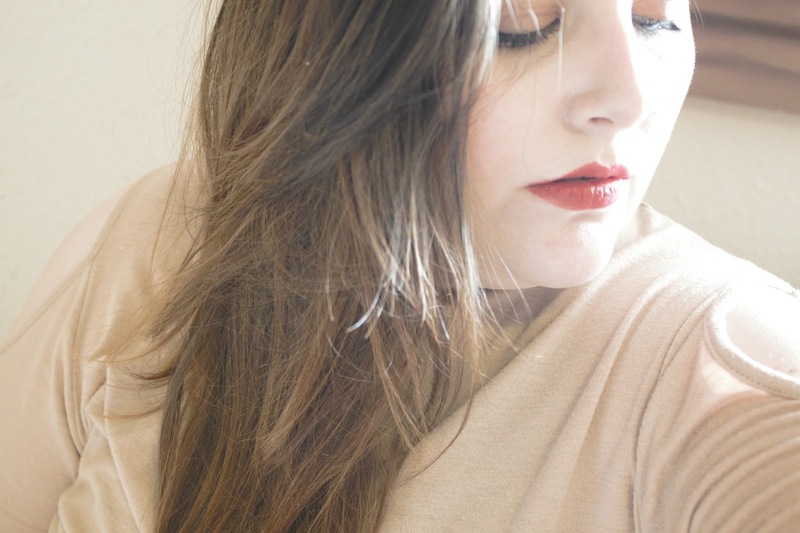 I could instantly see a difference in the tone of my hair when I was blowdrying my hair. It had a more golden tone to it and when it caught the light, some of my greys (yes, at 30 I have greys haha!) were covered! After a few uses of this, I noticed a big difference in my hair and if I'm honest, 4 washes in and I've only used about a quarter of the bottle! I would absolutely repurchase this. Especially if I had just dyed my hair and was looking to prolong the colour. 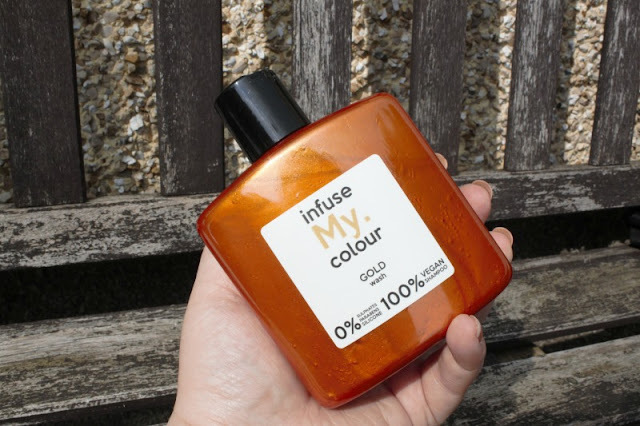 Have you tried the Infuse My Colour toners? For more information and to buy, click here. I have an awful scalp - I'm not sure if it's really dry or if it's psoriasis so it's good to read about products that worked for you because they'll probably work for me too! I'm about to get my hair done blonder too so this sounds perfect! Oooh, this sounds like a fab product! I've never heard of the brand but the fact that they're vegan and contain no nasties is a great thing! It's good to hear that the shampoo was kind to your sensitive scalp as well! Thanks for sharing your experience! This sounds brilliant! I have (artificial) red hair and it fades really quickly so finding anything that helps maintain the tone would be brilliant. My scalp also gravitates towards flaky which can be a pain! Ooh this looks really interesting, lovely post! Oooh I'm really intrigued by this! And it's great that you still have the option now to colour your hair a little even when your scalp is crazy itchy! I'm on Roaccutane and it dries my skin and scalp out completely so I feel ya! I've never dyed my hair but I have recently gone cruelty-free so that's great to hear! Sounds like a great product! I'll definitely recommend it to my friends!